(Left to right) HCTA President Jean Clements, HCTA Executive Director Stephanie Baxter-Jenkins and Hillsborough Schools Superientendent Jeff Eakins discuss the items in the agreement. 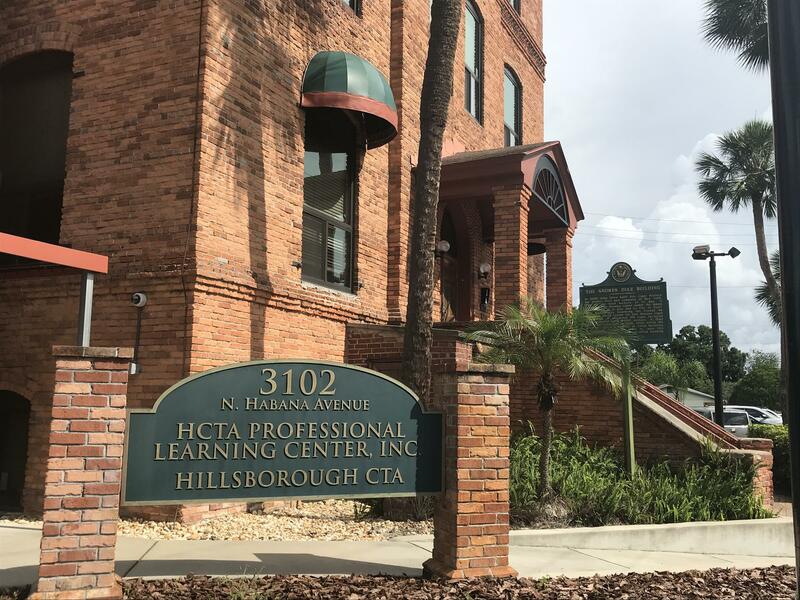 After months of negotiations, representatives from the Hillsborough County School District and Hillsborough Classroom Teachers Association (HCTA) met at the HCTA building in West Tampa on Wednesday to sign a tentative agreement on teacher pay. The deal includes raises for staff, bonuses and an option for employees to get a discount on school-based care for their own children. The agreement still needs to be ratified by HCTA and then voted on by the school board to be put into effect. WUSF's Sam Newlon reports on the tentative contract agreement reached between the Hillsborough County School District and the Hillsborough Classroom Teachers Association (HCTA). If the changes are adopted, two groups of teachers will receive raises. The first group, "Group A" teachers, were scheduled for raises in the 2017-18 school year but received none. Under the agreement, they would be paid an extra $4,000 starting July 1. They would also get $2,646 to compensate for the raise they did not receive last year. 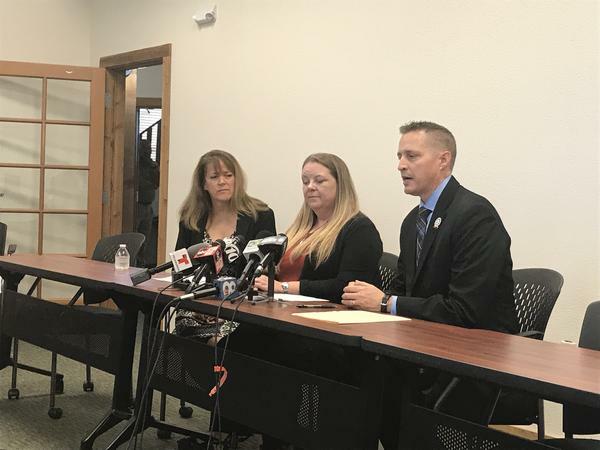 "We may not have been able to do everything we wanted to do, but we were able to do a lot of what we wanted to do," Hillsborough Schools Superintendent Jeff Eakins said. "So if we came up a little bit short on the complete $4,000 then we came as far as we could based off the available funds." The other group, "Group B", will start receiving their pay increases starting Oct. 22. The school district will look to save millions of dollars by delaying the payout to the second group. Teacher's aides and other instructional support staff are expected to receive about a 6.25 percent raise and a one-time $150 bonus. Hillsborough County's before and after school care program, HOST, will be offered at a 25 percent discount to employees for their childen, in cases where the child is not at the same site as the employee. That starts this fall. The school district cut about 800 paid positions. That will fund these pay raises and other benefits. At the joint press conference, Eakins and HCAT Executive Director Stephanie Baxter-Jenkins said the agreement provides hope for the future. "I think our goal now is to move forward and make sure we elect people who are going to support public education and properly fund it," Baxter-Jenkins said. Even though the line items in the agreement have been negotiated between HCAT and Hillsborough County Schools, the teacher's union must still ratify it before school board members vote on the issue. Eakins says that ratification to take a few weeks and expects the school board will consider the issue at a meeting in July.